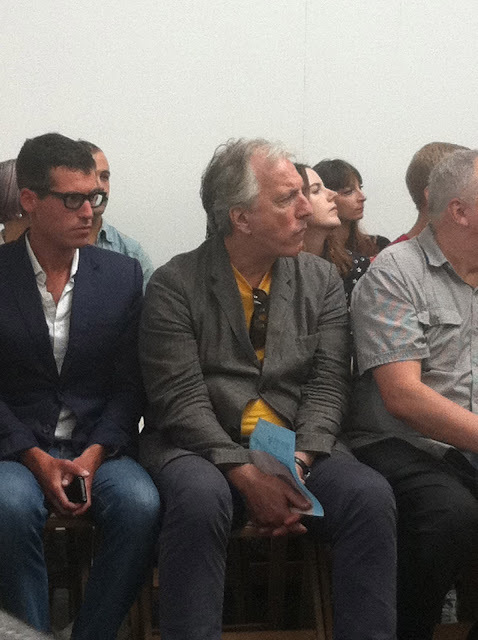 Actor Alan Rickman sat quietly front row, checking out the impressive Duckie Brown offerings earlier this afternoon at Industria Superstudio, his pensive demeanor never revealing his favorites within the collection. Pleasures, later backstage. 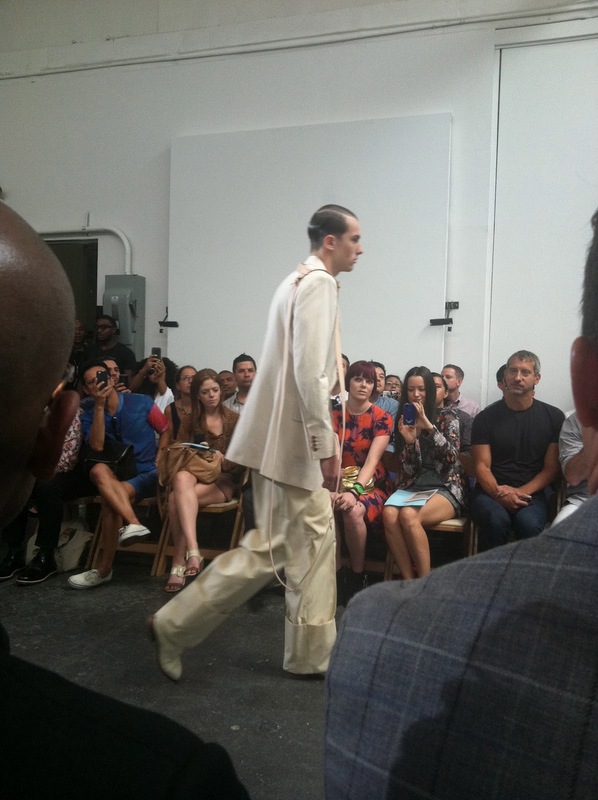 And while the clothes were definitely toned down a bit this season -- very wearable with a more tucked-in approach to the tailoring -- they still retained elements of the team's signature wide silhouette detailing and unusual trouser cuts. 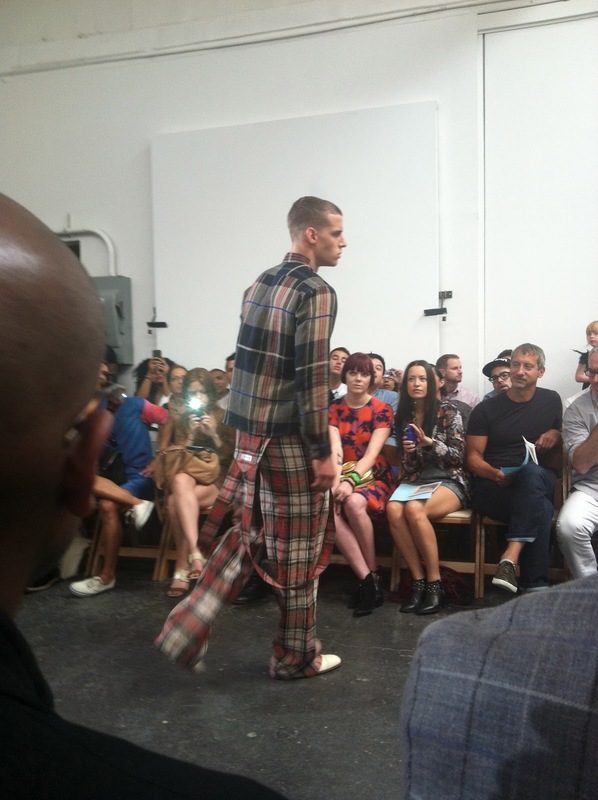 Wide, deep sleeves adorned double-faced T-shirts while super, oversized cuffs finished trousers as well as shorts. 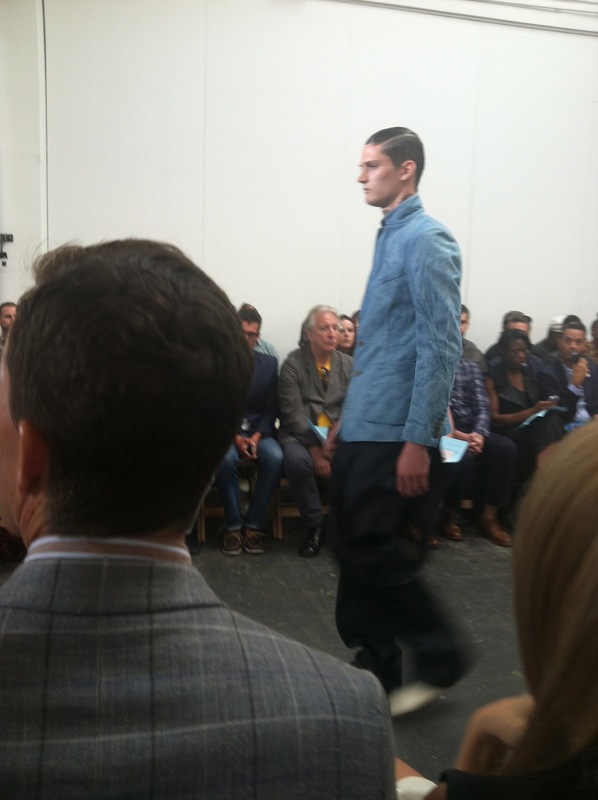 Bleached denim crafted work jackets as well as 2-button sport jackets, while washed leather created the perfect bomber. 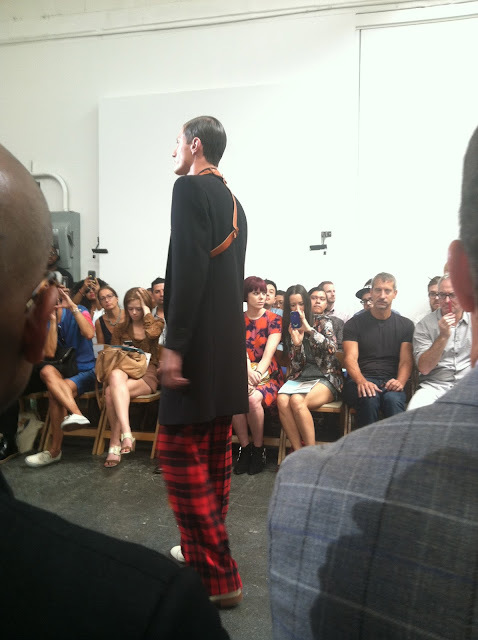 And tartans and plaids were used for great effect on straight-bottom shirts, jackets, overalls, backless tux jackets and ruffle back trousers. 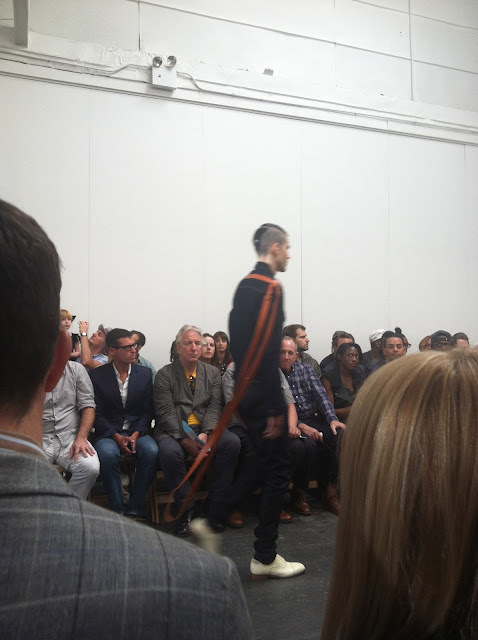 Harness-like neck or arm belts trailed on top of many of the long jackets, for what use, who knows?! Perhaps, one could imagine the models as fine race horses, awaiting a jockey to grab that lead before racing off to their next collection. 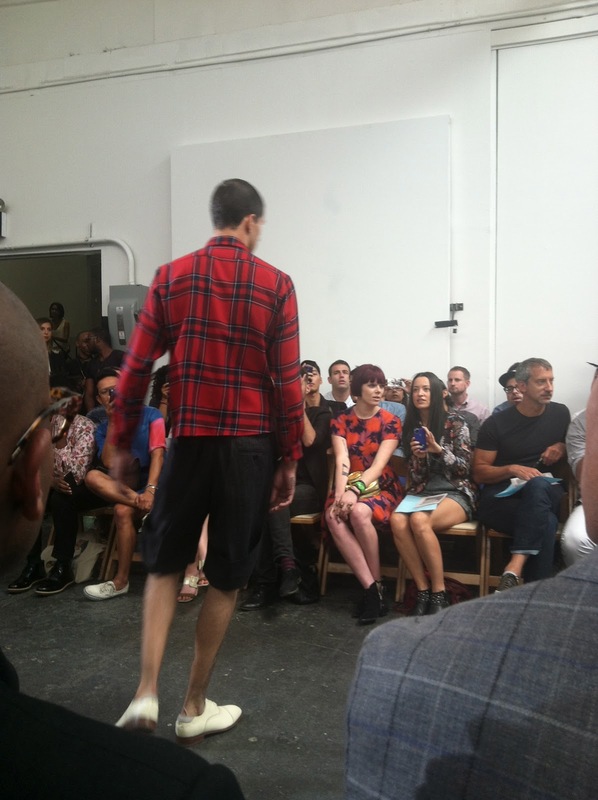 After all, the designers are gearing up for their design debut with the Perry Ellis collection showing next Tuesday. It's a race to the finish. 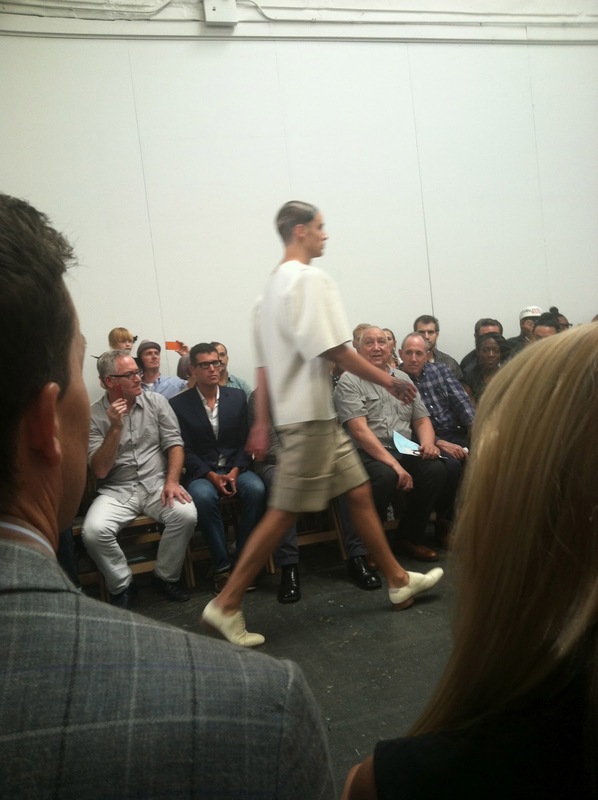 For now, let's call it a win, place and show for Duckie Pleasures! 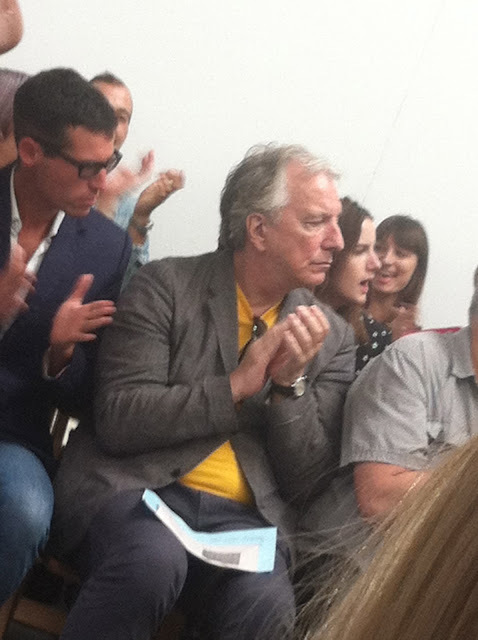 I like the photos & your descriptions of Alan Rickman at the show! I suppose you have no idea of any particular reason he was there...?